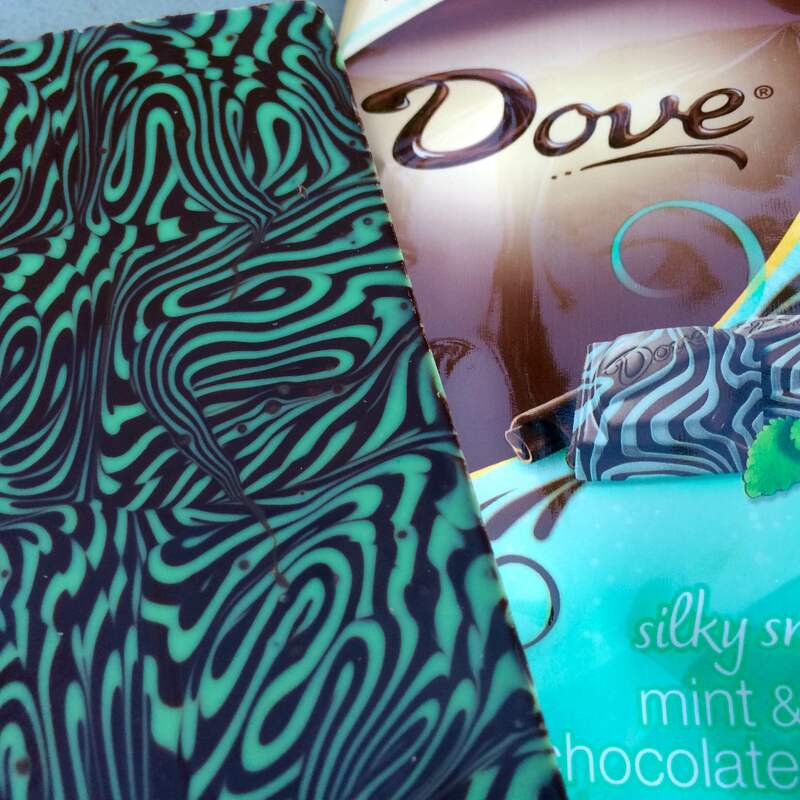 I love mint chocolate. Until a couple years ago, there were only a few options out there, most of them available only during the holiday season. 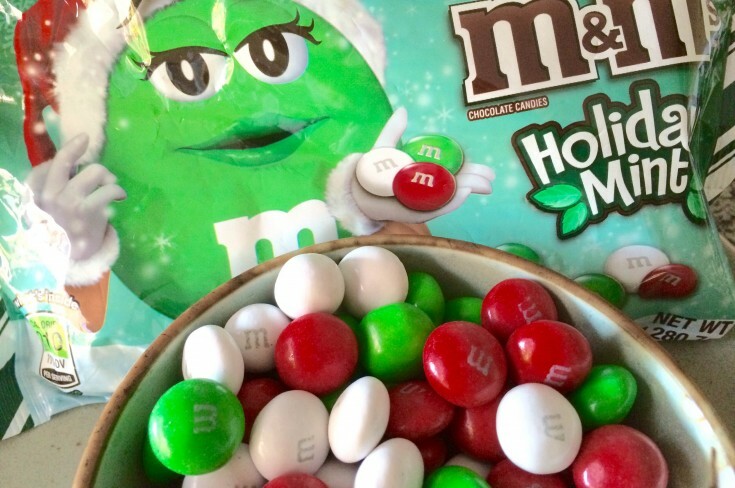 I was so desperate for mint chocolate year-round that I'd buy pounds of Mint m&m’s during the weeks leading up to Christmas and freeze them in my sub-zero. Then, I’d defrost them bit by bit, using a technique I’d developed over the years to prevent color bleed (due to condensation). OCD? Perhaps. But sister was snackin' on fresh mint chocolate in the movies in July while you were eating stale, waxy Sno-Caps. Nowadays, Mars has smartened up and made their delicious Mint m&m’s available year-round. So has this lessened the “special” nature of mint chocolate for me? Nope. But it has made me want to venture out and get some strange every now and again. You know, just to see if I’m missing anything. This year there’s a load of mint chocolate on the shelves. I blew The Sporkful’s candy budget and bought one of everything to try. For you, loyal readers, for you. Let’s warm up with some minty Hershey's products (as always, full disclosure: I grew up in Hershey, PA, and chocolate runs in my veins). As much as I love those candy-coated m&m’s, I firmly believe that the Hershey’s Kiss is the most perfectly engineered piece of mass chocolate ever produced. But they’ve really been messing with the Kisses of late (I gagged on the Pumpkin Spice version earlier this year), and this season also has some stumbles. Take the Mint Truffle Kisses. Things start off well with some shiny dark chocolate, which is a fun change from milk chocolate. But I don't know why they had to truffle-ize this Kiss. The inside, while buttery and minty, is overly squishy at room temperature. It doesn’t work -- whether you’re a biter or a melter. So boot them outside into a snowbank and come back to them in a couple hours. Rx: Frozen to mouth only. 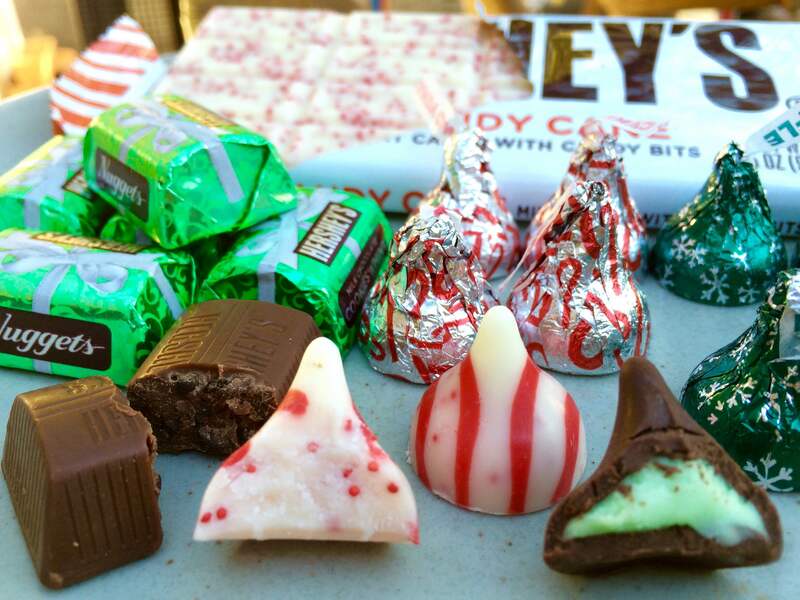 Hershey’s has another minty Kiss for the holidays: Candy Cane Flavored Kisses. (Are you disturbed by the word "flavored"? It's code for no candy cane involved. But back to this detail in a moment.) 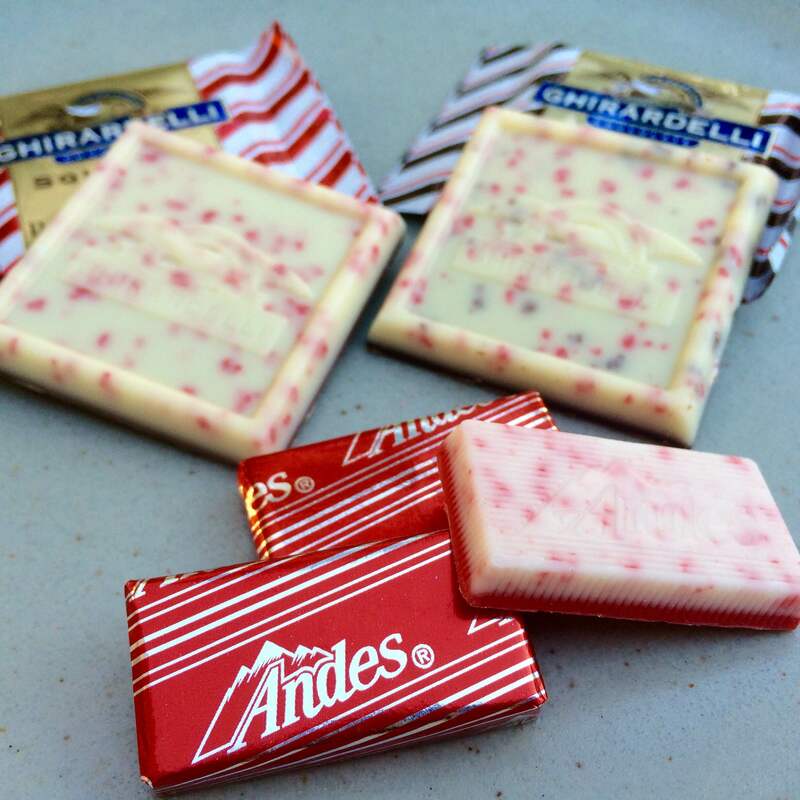 These Kisses are red-striped white "chocolate." It's the same stuff Hershey's uses for their Cookies 'n' Creme bars, which is basically cocoa butter, palm oil and milk solids. 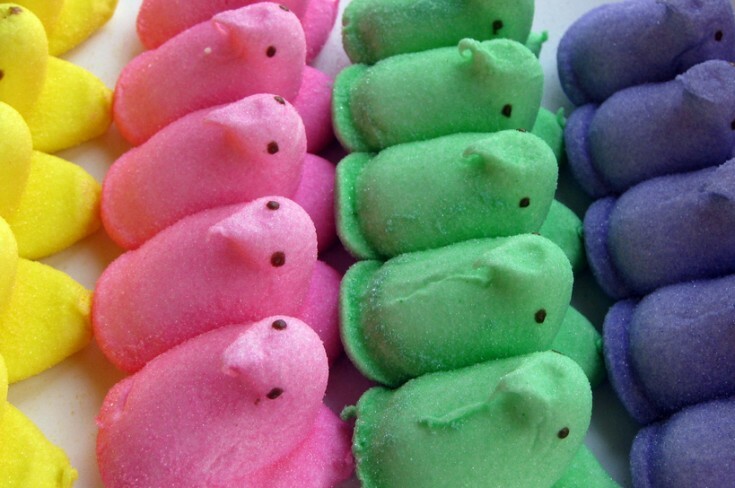 They look colorful and festive when unwrapped, and when you bite into the kiss, you get a lightly minty, creamy, little crunch. From non-pareils -- tiny, flavorless, red sugar pellets. Now personally, when I hear "candy cane," I like to picture frisky elves skipping around, hand-chipping sparkling bits of fresh North Pole candy cane into my holiday treats. But with these, I picture grumpy executives in cheap Santa hats cutting costs. Back to actual chocolate. Behold the Hershey's Milk Chocolate Cookies & Mint Nugget. It's classic Hershey's milk chocolate with a perfect dash of mint, populated with loads of that cookie crumble stuff from the Cookies 'n' Creme bar. This is mint chocolate deliciousness and will hereby be appointed to deputy status behind the Mint m&m, which is Sheriff of all things minty. The dark chocolate squares contain what appears to be crushed cocoa nibs for extra strength, which adds an interesting dimension when combined with mint. They're good. I recommend pulling all the dark chocolate squares out of the bag for yourself and gifting the milk chocolate ones. This chocolate shortage thing must be real because guess who's also dabbling in white "chocolate"? Yep. Andes. Even your grandma knows normal chocolate Andes mints are where it's at. These Andes Indulgent Peppermint Crunch mints (eye roll) are the Junior Varsity version. Wait. Scratch that. These need to be benched. They're all white "chocolate" (a layer of which is colored light red) and have little chips of red crunchy stuff that may or may not be plastic -- or just very hard bits of corn starch and sugar. They are also way too minty. I can eat a dozen (or however many Nana has left in her candy bowl) classic Andes Mints in a sitting. But these take a left turn towards Mouthwashland at >1. Game over. Although it's not being marketed specifically for the holidays, check out this Dove bar (by Mars, the same company who makes Mint m&m’s). 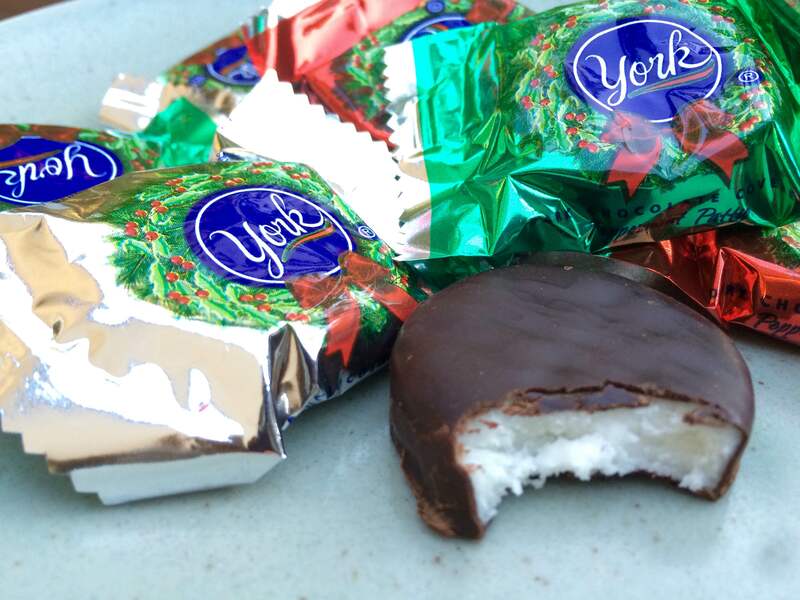 It's super creamy dark chocolate, melty and teasingly minty. This is the most beautiful chocolate bar I have ever laid eyes on. 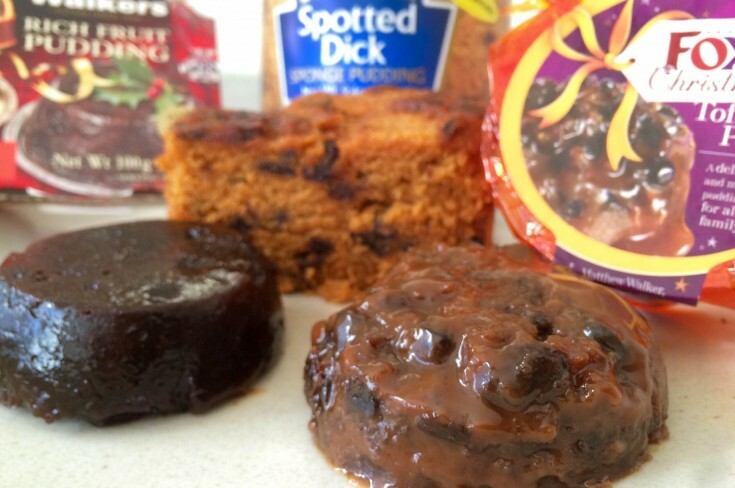 It is, however, a nightmare for those of us who like to dissect our treats: an M.C. Escher candy bar that's impossible to deconstruct. But don't think I didn't try. Because I did. And now Dove has to pay for therapy. 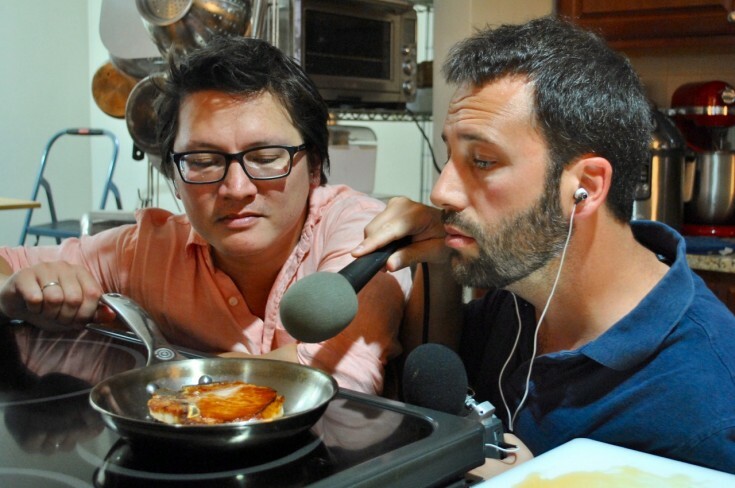 Julie Zwillich is a television host, writer, and tasty food stalker. She will never, ever turn her back on sugar. Follow her on Twitter @juliezwillich.